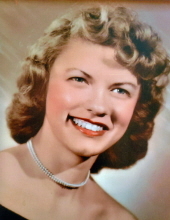 PENDLETON, IN-Sue (Snelling) Sigler, 77, passed away on Saturday, February 9, 2019 at St. Vincent Hospital, 86th Street in Indianapolis following an extended illness. She was born on November 26, 1941 in Madison County to Charles and Nancy (Stephens) Pierce. Sue was a graduate of Highland High School-Class of 1959. She served in Civil Service for 31 years obtaining the grade of GS 11 when she retired in 1987. She received the highest medal awarded to a civilian by the Department of Defense. At her retirement, she was a Food Service Officer responsible for field and mess hall installations in 17 states. She was also responsible for pre-positioned food storage in the event of natural disasters. Sue enjoyed cooking and baking, especially for her family. She will be fondly remembered as a devoted and caring wife, mother and grandmother. Graveside services will take place at 1 pm on Wednesday, February 13, 2019 at Park View Cemetery, 1101 South Park Avenue (State Road 9) in Alexandria. Family and friends are invited to a time of visitation on Tuesday, February 12, 2019 at the Noffze Funeral Home, 501 North Harrison Street, Alexandria from 4 pm to 6 pm. Memorial contributions are suggested to the Wounded Warriors Project with envelopes available at the funeral home. To send flowers or a remembrance gift to the family of Sue (Snelling) Sigler, please visit our Tribute Store. "Email Address" would like to share the life celebration of Sue (Snelling) Sigler. Click on the "link" to go to share a favorite memory or leave a condolence message for the family.